After a dull and misty start to the day, it will brighten up during the morning with some hazy sunshine by afternoon. However, thicker cloud will bring some rain to the Pennines by early evening. Maximum Temperature 12C. Tonight will be cloudy and occasional rain spreading east this evening, the rain persisting on and off overnight, and turning increasingly to sleet or perhaps wet snow on the Pennines by morning. Minimum Temperature 3C. There is heavy traffic building up on the A629 Calderdale Way southbound in Elland before Ainley Top Roundabout. Traffic moving slowly on the A644 Wakefield Road in Mirfield from Cooper Bridge Roundabout to the M62 Junction 25. 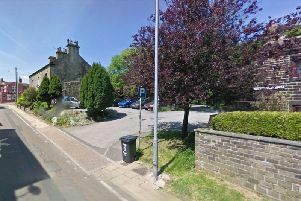 Heavy traffic is also startingto build on A644 Wakefield Road into Brighouse at the A643 Clifton Road junction.